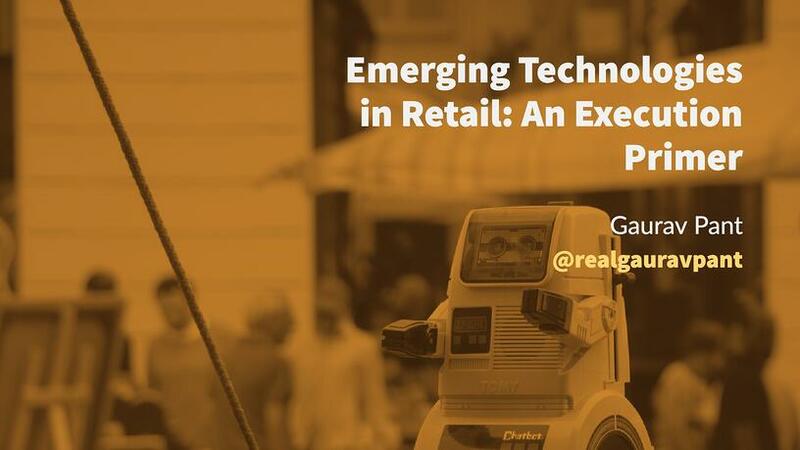 I sat down for an informal chat with Melissa and Aaron to get some perspective on our global survey on emerging technology in retail, and understand what is required to execute on these fancy hyped terms. Opinions flew, but no data-points were harmed during our conversation. A transcript of our candid chat follows. Gaurav. Artificial Intelligence (AI) offers near endless possibilities, and retailers believe that it will have a significant impact across multiple dimensions of their business model. All AI isn’t built equal, and all AI doesn’t require the same execution effort. How would you classify the use-cases in retail? Which of these are foundational, and which are evolutionary? And, changing perspectives a bit, as a shopper where do you think AI can have the greatest impact on how you shop? Melissa. The terminology around AI makes it hard to answer this question—some of these things really aren’t AI. They’re just good uses of the data most retailers already have. Scenarios like shipping and delivery route optimization are foundational. I think a lot of retailers are already doing this when it comes to fulfillment. Chatbots as an engagement channel are also relatively foundational. Bots have been around for a long time and bots that manage things like initial triage for customer service are simple because the experience it enables isn’t meant to be that intelligent. The bot needs to handle a pre-scripted Q&A and hand-off to a live agent at the right moment. Facebook’s bot count is now over 33,000 and many retailers like Sephora, North Face and H&M have successfully deployed bots to help shoppers find the right product. Where things get more interesting is when you layer in some of the data to drive different responses for customers. Personalized recommendations and fit analytics are foundational to being able to deliver a good virtual sales agent, for example. And if you can tie your bot to systems where you already have that information—rather than making the customer answer questions to get that data—all the better. Aaron. I agree with Melissa. The real foundational elements for artificial intelligence for a retailer is going to be routed in their data and ensuring they have the proper data supply chain setup. From an Avanade perspective, we believe our clients need to have 4 core areas of capabilities to deliver on AI: Data, Models and Knowledge, Technology, and Talent. Retailers need to determine their AI strategy and utilize these capabilities to build intelligent applications. In the short term, the biggest improvement from a shopper’s perspective will be around personalization and finding the right product. Coming quickly behind is a better customer service experience that will help me find new products, but also keep me loyal. There is a ton of improvement to be made in this area especially as the lines blur between manufacturer of a product and the company who sells it and who do you contact for support. As an example, if I buy a Samsung tv from Target, are Target and Samsung sharing support data? Who do I contact, where was the handoff? Partnerships, data, and artificial intelligence technologies are critical in getting this right from a shopper’s perspective. Melissa. What it really boils down to for me is simplicity. I’m excited about the possibilities I see in retail for AI to help me as a shopper reduce the noise, save time, save money, etc. When the technology can monitor the retail landscape and act on my behalf—I buy a gallon of milk every week and the AI finds me the best deal on my preferred brand and automatically orders it for me—that’s when I see some real value. Not only does it save me money but it frees me up to think about things I care more about than where I buy my milk. 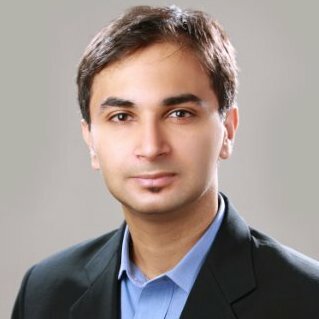 Gaurav. Let’s get a temperature check on a couple of these. How do you see the role and effectiveness of chatbots evolving over the next few years? And, letting my personal bias slip a bit, when will voice become the entry point to retail discovery and commerce? Melissa. I think I alluded to this before, but chatbots will become more human and as they become more intelligent, the use cases will continue to expand. For example, when you build in some capability to monitor sentiment in the conversation and respond differently depending on what’s detected, chatbots can effectively engage in more kinds of conversations and respond more appropriately. I think a lot of retailers are just starting to experiment with some of these capabilities. Voice could play a big part in making chatbots at least feel more human, making the interaction more intuitive. I don’t know that it will necessarily impact the effectiveness of chatbots, but it will bring chatbots into more environments. Aaron. Voice is tough and hard to get right. Just like a chatbot experience, if it’s difficult and you have a bad experience, you just aren’t going to use it. At last count I believe Amazon has something like 25,000 Alexa skills and Microsoft has 230 Cortana skills. Voice is coming, but like any change in human behavior, we need to get used to using it and it must work well. It’s already easy enough to add your household items to a shopping list and place the order. Some of us like that experience and use it today while others prefer to type or tap on a screen. I expect and would encourage retailers to focus less on getting voice right for their end customers, but improving voice for their employee experiences. So, if I’m in a store and need to find something, the store associate has enhanced tools that allow them to deliver a frictionless experience (like product lookup with voice). Retailers need to invest to bring their employee experiences on par with their customer experiences. Once you get the voice stuff right internally, you can then start to seed that out to your customers. It’s a great way to train the voice models without taking or turning away customers with a bad experience. Gaurav. Retailers are data-rich, but insights-poor. Their use of data hasn’t really branched out beyond core commerce and enterprise systems. However, the challenge isn’t the availability of data, it is figuring out what to do with it. So, gently stepping back from the data and into the “why” - which business issues/questions will drive or force retailers to become more insights driven? How would you like to see this chart change over the next 24 months? Melissa. The biggest issue that will drive retailers to become more insights driven is the clear and ever-present demand from customers to know them better and make their lives simpler. Retailers today are fighting a battle against distraction—more products compete across more channels for less mindshare. Customers are overwhelmed by choice and information. Tied to that, of course, is profitability. Retailers will have to use their data better to drive operational efficiencies while still improving the customer experience. Aaron. I don’t believe that retailers are insight poor, it’s just that retailers are using reactive approaches to uncovering insight. We like to take a proactive approach with our retail and consumer goods clients and tell them not to worry about the data sources, but what is the question you want to ask. Think of it in terms of a hypothesis—as an example, what’s the right blend of marketing spend vs. budget we should have by a product. If you start with a broad question, you can begin to narrow it down, identify a few data sources, and then build some initial machine learning models to see the answer. The technology, especially from Microsoft Azure, is making it easier for retailers to have citizen data scientists. We do this with our clients in our Insight Discovery Workshops. They take about 2-3 weeks and almost every time you uncover some new insight that leads down a different path from where you started—but it always ends up identifying areas of significant business value. Melissa. Looking specifically at a few of the things on that list, data coming from brick and mortar infrastructure like the footstream data or edge systems present a big opportunity. Retailers are finally getting some of the necessary infrastructure in place to capture this data about shopping behaviors in the store. They’ll need to figure out quickly how to use this data to trigger more personalized experiences and better connect online and offline transactions. Aaron. We also see many retail clients focusing just on the data they have and own. When you start with a proactive question approach like I discussed above, you may find that you need data outside the four walls: maybe it’s weather, maybe it’s social data, it doesn’t really matter. 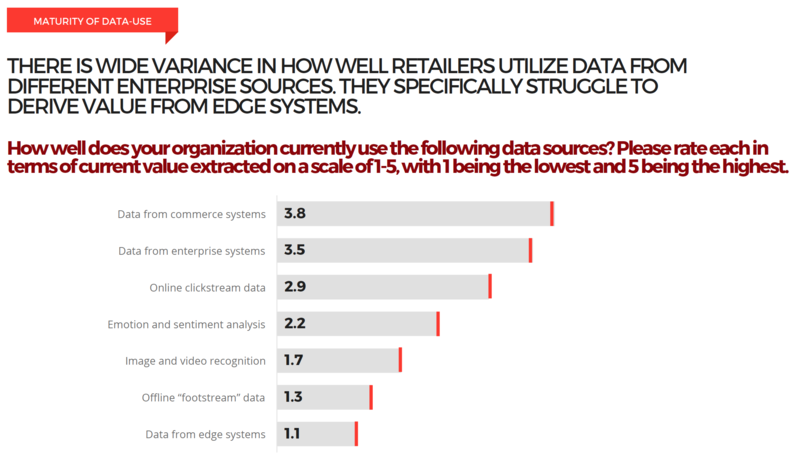 The key is that leading retailers are no longer using just the data they have, they are mashing it together with external sources and I imagine in the next 12-18 months, edge systems and external data sources will be much higher on this list. Gaurav. Multi-billion dollar acquisitions, continuous media coverage, the launch of Apple’s ARKit, and people walking into walls chasing Pokémon seems to have done its part, and the awareness of Mixed Reality is really high. However, most retailers struggle with visualizing how it will impact their business. So, let us focus on the hard stuff. What are the Mixed Reality use-cases or applications that you see becoming mainstream in the near future? What are the barriers to adoption? Melissa. With our retail clients, we are seeing most exploring mixed reality applications in the areas of product design and store design. There is significant ROI that can be achieved, especially in iterating more quickly across a large set of design and architect stakeholders. We did some work last year with a grocer exploring planograms as well. On the consumer side, it’s less mixed reality and will be more augmented reality via mobile phones. It’s all experimentation at the moment to see what works and what consumers will use and adopt. Aaron. One of the biggest barrier things with any type of reality, virtual, augmented or mixed is that you need to have the 3D assets. Some assets you can buy, some you can have a designer build, but many retailers have their existing digital asset library of mostly 2D objects. To build a great experience, how do you take your digital asset library that is used across the organization and develop the proper 3D asset with the right level of quality? It’s not easy and it’s not cheap. And once you have them, you need a place to manage them across the enterprise so others can use it. We’ve yet to see a great tool to make this happen. You are starting to see some companies like Adidas bring 3D scanning into their stores. It’s going to take a while to build up the assets necessary to make it cost effective for a retailer to do and use at scale. Melissa. Another barrier is the investment required to explore and build a viable use case. Building mixed reality applications is very similar to building a video game. You have several designers and developers coming together, but you also must consider sound, voice, and gestures. With use cases like store design, you can put in the upfront investment and eventually realize that ROI. When you talk about consumer experiences, today, it’s tough to make that case. We are going to see more new types of applications this year because Apple has made it easy with AR kit. Microsoft is going to keep pushing this as well. In the next 12-18 months, it’s going to be interesting to see what sticks.